What if you knew what your co-worker’s salary was? More importantly, what if they were making $10,000 more, and you had both been at the same company and on the same team, and had very similar job titles? To top it off, your workloads were nearly the same for an entire year. Would you know how to approach that conversation to ask for a raise? If you don’t know the right questions to ask — and personally, I didn’t know for the longest time — you may end up not only feeling completely embarrassed, but more than anything, confused. Have you had weekly discussions with Daniel regarding what his work load is? If you don’t know what he’s working on, what he’s accomplished or his past experience, you may be in for a surprise. One of the panelists talked about an instance where she received a job offer for a position similar to one her male friend held at the same organization. She asked him what salary was and she realized she was offered $10,000 less. Of course, she asked why. They explained his education, background and experience were considered when they extended him an offer. Without skipping a beat, she connected her background to his experience and demonstrated that she was just as qualified as he was. They went through three rounds of questions and she was able to speak confidently about her qualifications and how they matched (or exceeded) his in each round. What happened? They matched her counter. I came away from this panel with a great deal of information. There were so many notes I could take as immediate action items — and nearly every topic covered was so powerful you could hear gasps from the crowd about once every 10 minutes. One thing I learned is that you should ask the company the salary range for the job. If you think that offer is too low based on conversations you’ve had with others in the same line of work, but you still really want the job, there are other ways for them to potentially match the compensation you believe you’re worth. Any questions you aren’t comfortable asking your potential future boss, you should ask HR. Yes, that might be intimidating, but isn’t it worth asking? You must be able to stand up for yourself and speak to your skills. Additionally, if you’ve been at a company for an extended period of time and you haven’t had a raise in two years, document what you’ve done in your work that reflects how much you’ve grown in your skill set and in your role. It doesn’t have to be — nor should it be — strictly be about past work and the value you’ve added in your tenure, but rather how you see yourself continuing to develop your skills and add value to the company, your team and/or boss. Remember this part too: the company has chosen to invest in you to make sure you have the tools you need to grow and remain competitive. If you’ve been meeting the expectations of what is required of you, you know what to do. One of the most powerful things to come out of the panel were some takeaways on what we can do to help close the gap. Some were personal tips for negotiating and learning how we can ask for what we deserve. We’ve summed up some of these insights in a handy flowchart to help you know when the time is right to ask for more money. Take a look! We also want you to know that we took Lisa Stratton’s advice to “get involved in the public policy arena to heart.” Earlier this year, we started connecting with legislators and groups like ERA Minnesota looking to do our part to get an Equal Rights Amendment passed in Minnesota. We’ll be rolling out more information on this exciting initiative in the coming months and we’ll definitely be needing your help, so keep an eye out for more on how you can join us in this important work. On February 21, MPLS MadWomen hosted a screening of the critically acclaimed film Time for Ilhan at the St. Anthony Main Theatre. 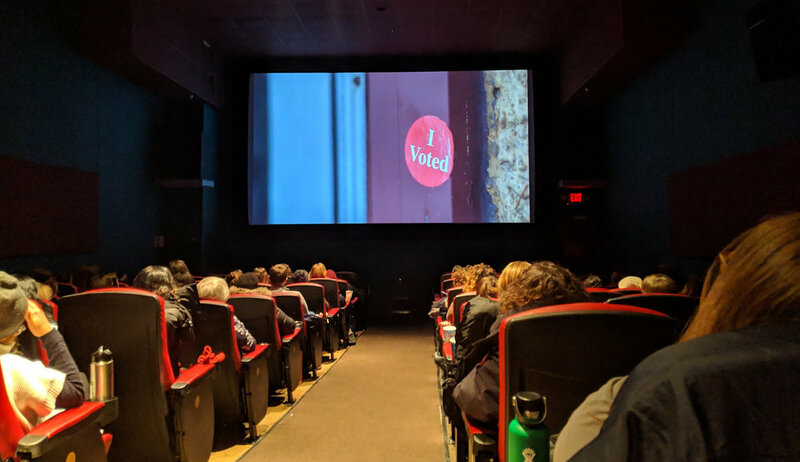 On the snowy Thursday night, the audience filled the theater to near capacity eager to watch the film and to ask questions and listen as director, Norah Shapiro, spoke about her experience in making it. At this highly anticipated MadWomen event, Caroline Wanga, Chief Diversity & Inclusion Officer and VP of Human Resources at Target, led us in a timely conversation around individual identities and our accountability in caring for our own identity intersections, as well as those of others. As we go through our careers, we all experience the pressures of needing to succeed, over-achieve and exude the attitude that we can do it all; after all, Rosie is our hero. But the reality is that we are human, and the pressures we put on ourselves eventually do catch up with us. At this very special MadWomen event, speakers shared experiences, exercises and meditation techniques to remind us that self-care isn’t a special treat, rather a necessity to keep our minds and our bodies sound. Whether it’s pitching a potential new client or introducing yourself at a networking event, how we present information can make more of an impression than the information itself. That’s why I wanted to attend the Speaker's Edge presentation skills workshop. Just like any other skill, being a good presenter takes practice and, no matter how good you are, there’s always room for improvement. For our Female Pioneers event, MPLS MadWomen was proud to have five inspiring and resilient women on stage to speak about their experiences on how they are breaking—or have broken—glass ceilings in their industry. From a woman who graduated college in 1963 to one who is still in high school, this event brought together perspectives that left the room ready to start blazing trails and helping others. I have to confess. Minnesota’s position as 2018 Super Bowl Host City does not excite me the way it does many others who share our fair state. If our boys in purple make it to the Big Game™, my plan is still to skip town and wait it all out. Even the prospect of raking in some extra cash by renting out my place to overzealous fans willing to pay more than I made my first year out of college isn’t appealing. When people ask why I wouldn’t want to cash in on the opportunity, I explain that I don’t love the idea of strangers in my space. Especially strangers coming to town during what I, mistakenly, believed to be "the single largest human trafficking incident in the United States." On my walk over to the Minneapolis Institute of Art on one of the first frigid mornings of the Minnesota winter, I had no idea what to expect from the event to come. It was my first experience with Creative Mornings — “a breakfast lecture series for the creative community.” I knew it was a departure from the standard networking events I’d been attending. Less industry best practices, more perspective on how creativity shapes our community as a whole. I never expected I’d leave feeling more empowered as a female creative. Especially when I considered the topic of discussion was death and music in Minnesota. After last night, we have reason to believe makers actually is short for movers and shakers. 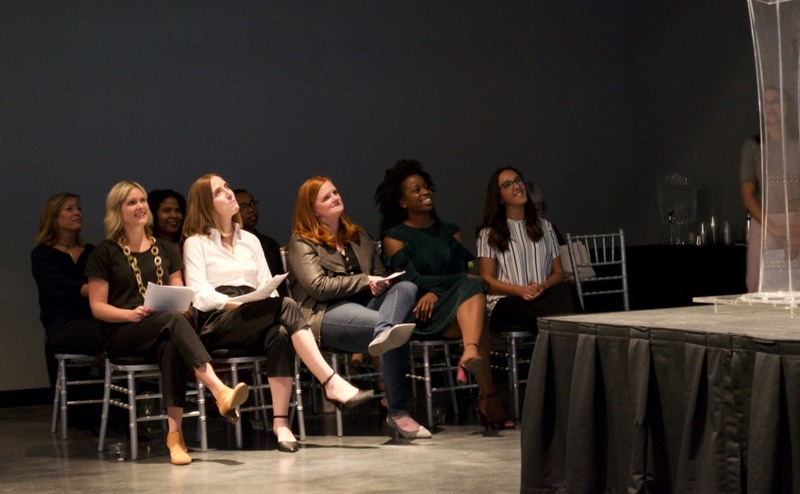 Twelve amazing women shared stories of celebration, inspiration and innovation in a series of five-minute talks, and it’s safe to say there was a buzz of possibility in the air afterward. At the 2017 MIMA Summit, there was a lot to be inspired by. Working professionals, founders, and CEOs all shared their stories over the course of the day, and we couldn’t help but feel motivated to drive change in the workplace.